Remember the bustle? 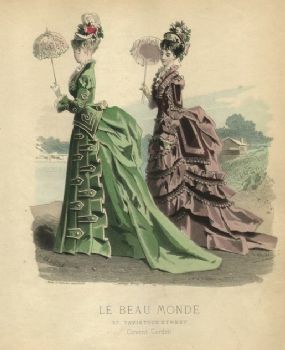 That lovely 19th century fashion statement for all wealthy ladies? 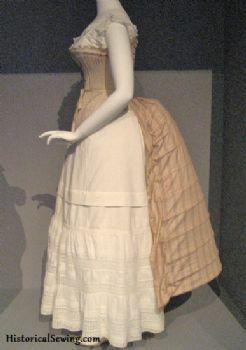 I gotta say, I'd personally like to bring the bustle back into style. 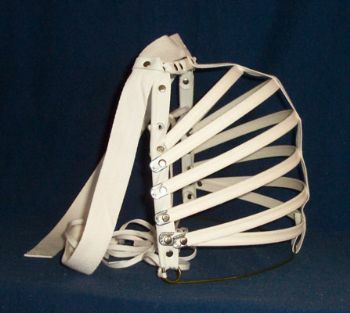 The best part for me is that I wouldn't even need the cage required of the old-fashioned bustle. No, ma'am, I got a built-in bustle going on all day long. Seriously, I was walking on the treadmill yesterday (yes, I worked out -- hallelujah!) and I realized that my darling booty has gotten large enough that I cannot feel the muscles of it while I walk. Instead, I simply feel the heavy weight of it behind me -- just like a bustle! Now, granted, I'm not complaining about my body! There's a lot to love about a bustle-body. I've got a fairly flat stomach and a curvy waist. My only complaint is the lack of bustle in today's fashion scene. Come on, fashion gurus: if we can revive bell-bottom pants, spandex, and neon, surely we can create a bustle buzz? My booty will be waiting! I envy your bustle. Enjoy having it!! LMAO! The bustle! I'd actually like a little more junk in the trunk on my flat Irish bootay...the bustle might help me out too!! LoL Happy New Year my friend! !